Heard from a number of sources familiar with the plan, Apple was to establish cooperation with component suppliers and factories in Asia to create iPad 3. Apple has ordered a number of key components such as display panels and computer chips. This latest generation of iPad predicted higher resolution than that now exists, that is 2048 x 1536 pixels, 1024x768 pixels possessed of iPad 2.
and also Apple has ordered the components for the 1.5 million iPad 3 in the fourth quarter. Apple is in the source component parts of Asia, while the tablet computer was made by Hon Hai Precision Industry Co., Taiwan. Apple has sold 9.25 million iPads in the last quarter. 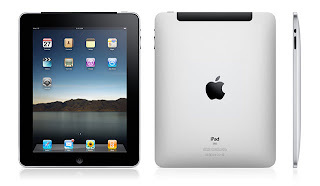 physical form of the iPad 3 is smaller than the previous generation which has dimensions of 9.7 inches and people often refer to it as the iPod Touch with jumbo-sized screens with support for high-resolution display technology, Retina Display the exact same device used in the iPhone 4.
iPad iPad 3 has a size between the present and the iPhone with the 3.5-inch screen sizes.